Thanks to our wonderful families, PPIE raised 17% ($80,000) more than last year from our PUSD schools at the August Registration. This funding goes back to each school for needed supplemental staff and resources. At Pleasanton Middle School this year, PPIE is funding an additional 2 hours each day for our library technician as well as our site tech specialist. In addition, PPIE funding is partially supporting an Intervention Specialist who will assist students and teachers obtain successful learning outcomes. We encourage each of you to visit www.ppie.org to complete a brief survey. PPIE is garnering recommendations and will be working with school and PUSD leadership to fund future resources that are needed at Pleasanton Middle School. We will send additional messages throughout the year to highlight the ways PPIE supports our school. What is the foundation’s primary mission? PPIE raises funds and enables programs that support all 15 Pleasanton schools, all 14,500 students and over 800 teachers and administrative staff to ensure high-quality education in the Pleasanton Unified School District in an equitable manner. The foundation works each year to align PPIE fundraising and distribution with PUSD and school priorities for needed supplemental staff and technology. We also work to increase the engagement of area families, business partners and community leaders in sustaining and growing the success of our excellent schools. Why do we need an education foundation like PPIE? PPIE is a non-profit education foundation supporting all Pleasanton public schools and students. 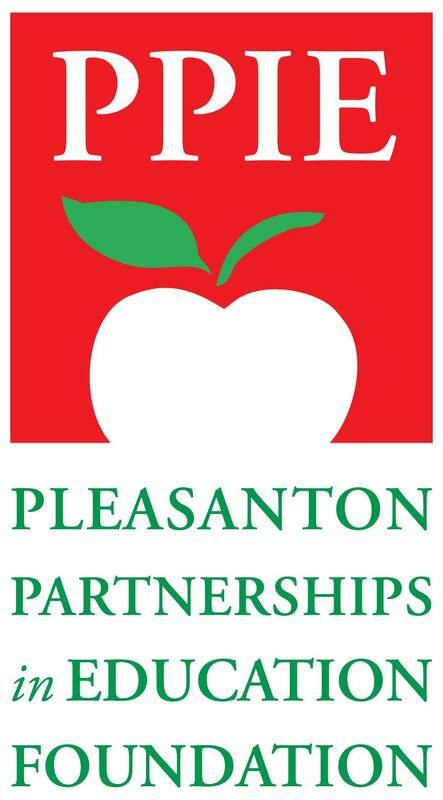 After the 2008 economic crisis, the Pleasanton school district asked PPIE to raise additional funds to enable class size reduction. With great parental and corporate support, PPIE helped to keep class sizes relatively low in our elementary schools. Since then, two matters have further cut State government funding to Pleasanton: 1) In 2013, the State enacted the Local Control Funding Formula (LCFF), which allocates more funds to low income schools and less to wealthier districts like ours, and 2) in 2015, the State mandated that local school districts contribute a greater share toward teacher and other staff pensions. The result is that our schools need community support more than ever to maintain our high quality Pleasanton schools. Thank you for your support! PPIE is suggesting an annual donation of $500 per student. We know this is a lot for some families, so we have options. You can spread your donation over 10 monthly payments HERE. If you cannot afford this amount, we welcome all donations of any size. We want 100% of Pleasanton school families to participate and accept donations in all amounts. Your donations will fund critical programs and supplemental staff to ensure high-quality education that cannot be funded through any other source than PPIE’s Giving Fund. Represent your school on the Education Foundation Committee (EFC) to be part of the decision making process and part of the fun! Make a Donation now – every donation makes a huge difference for our students.